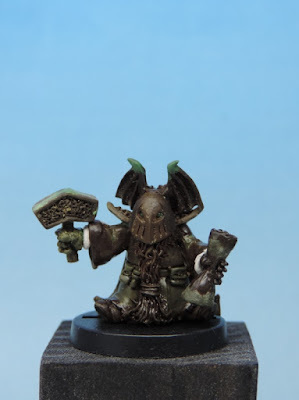 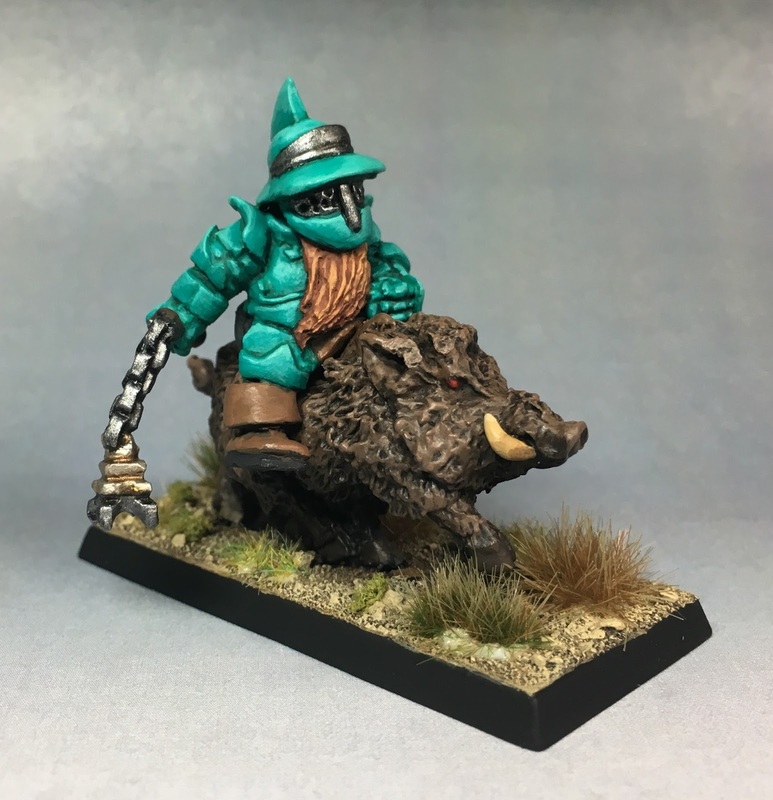 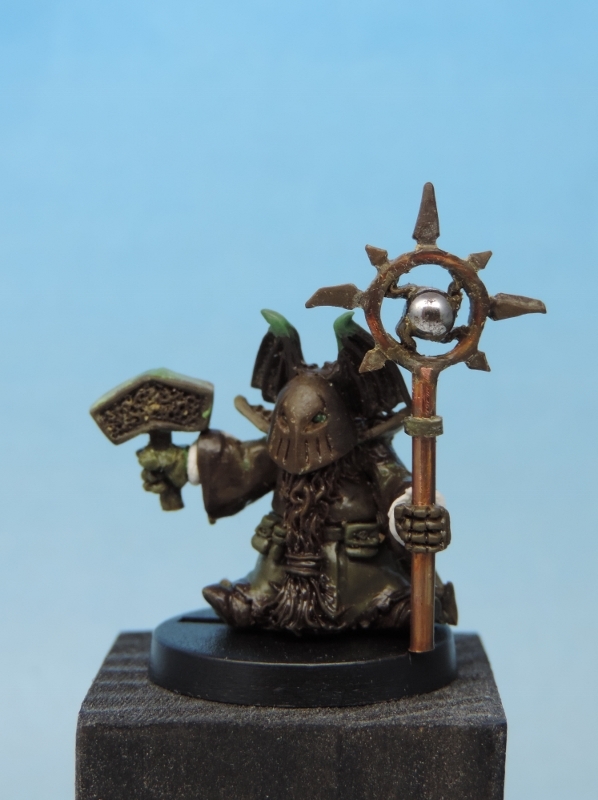 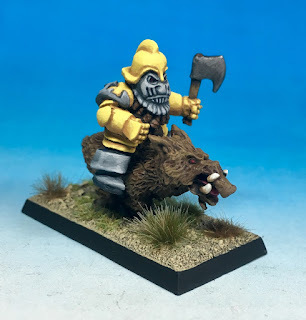 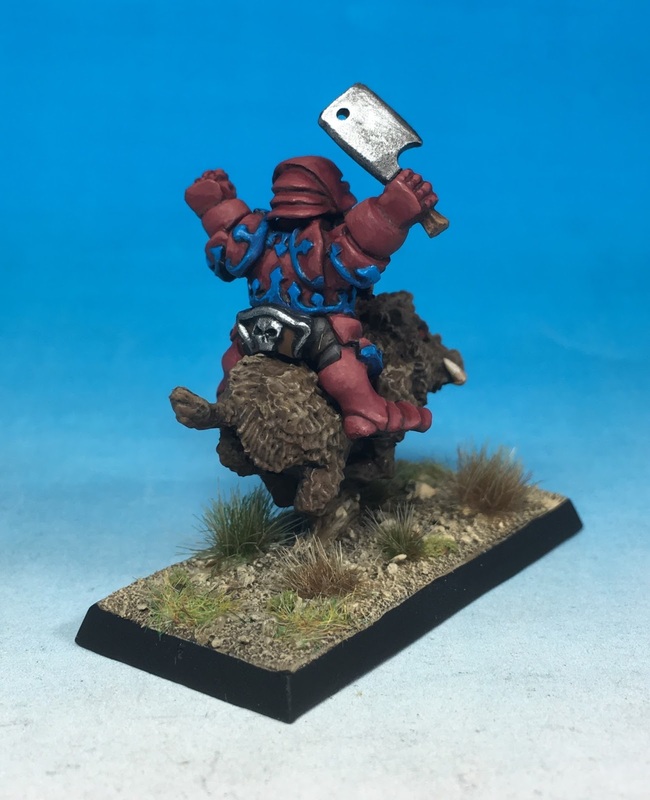 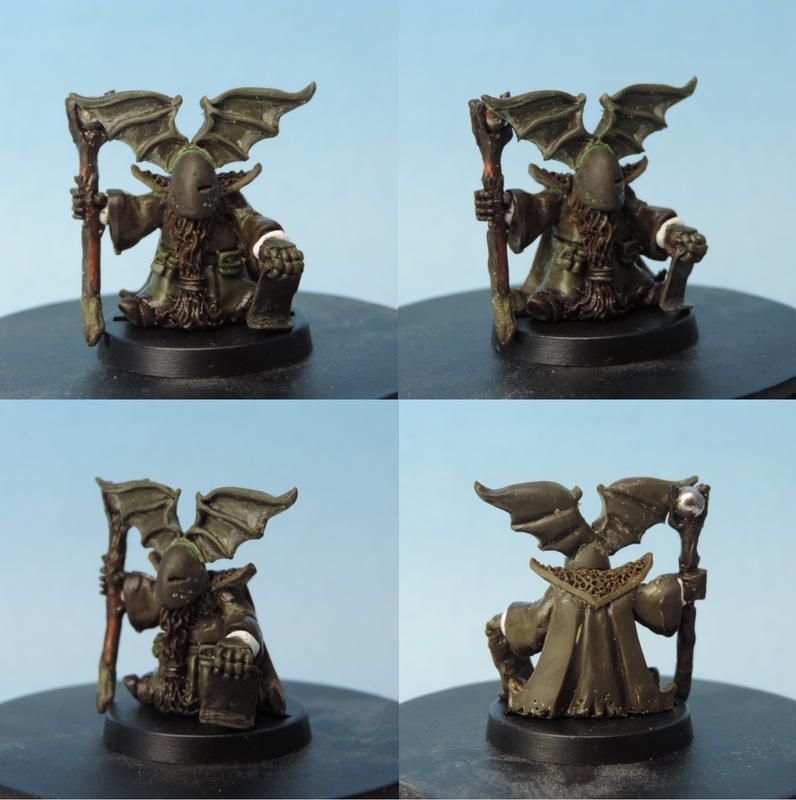 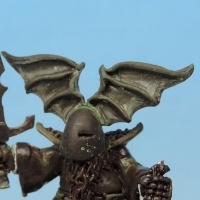 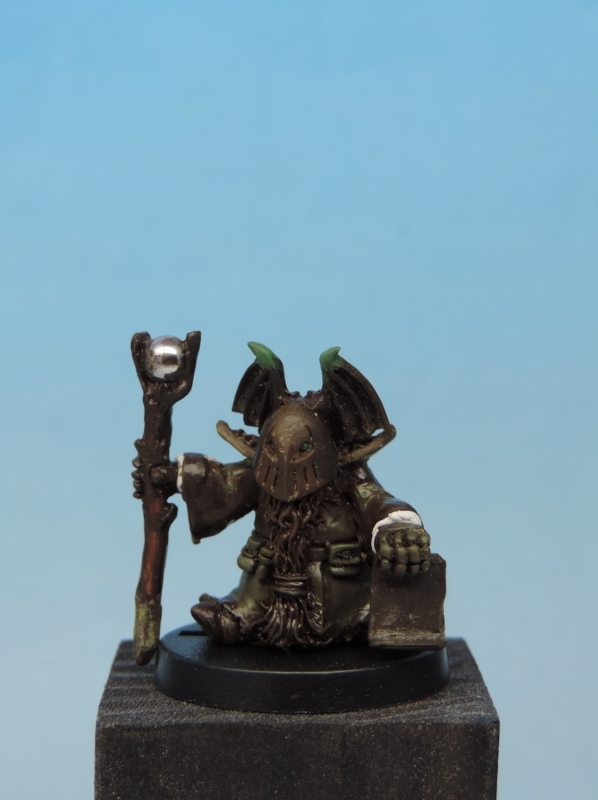 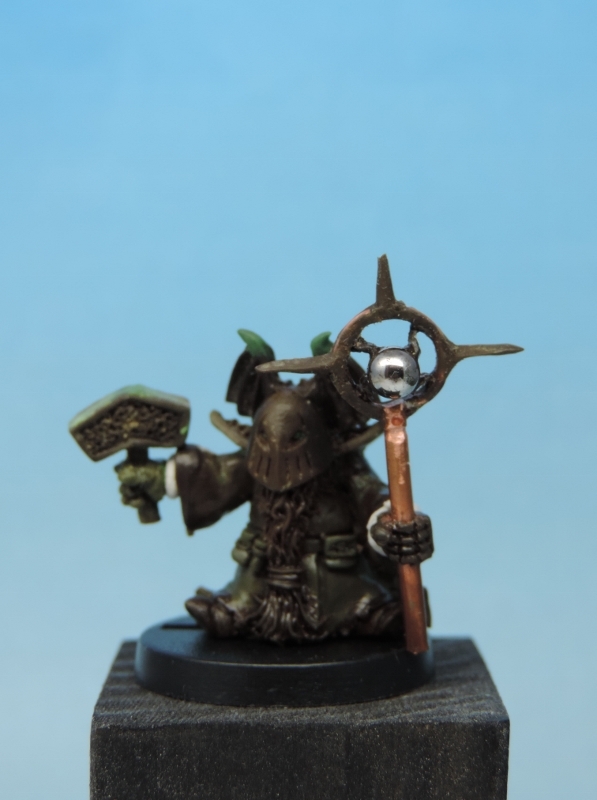 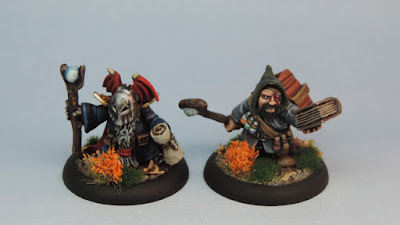 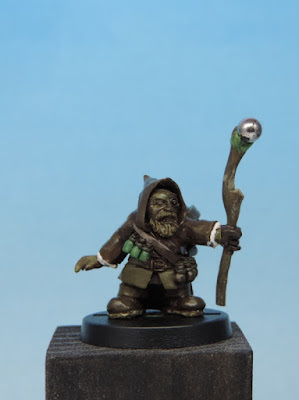 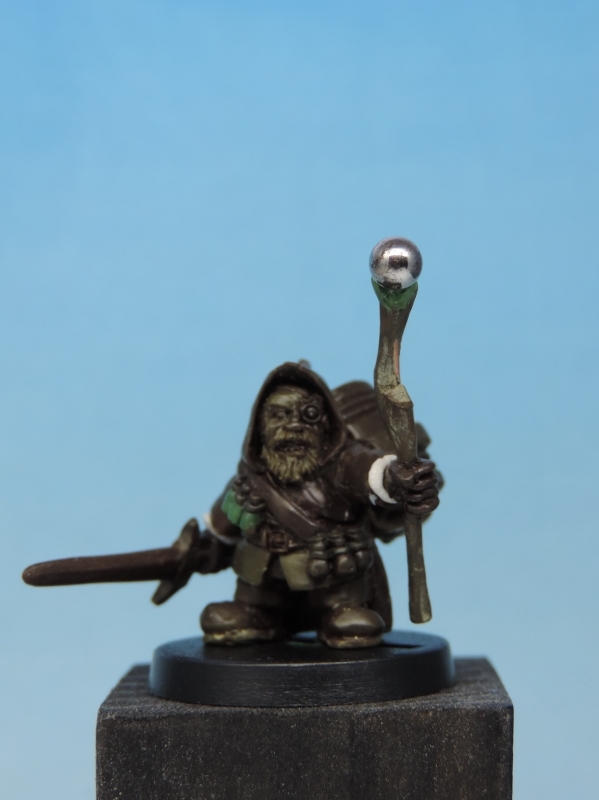 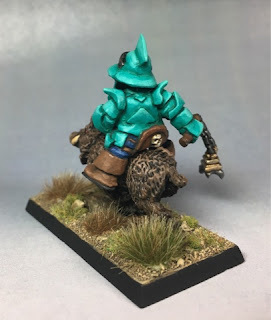 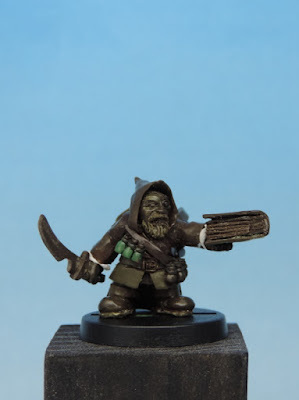 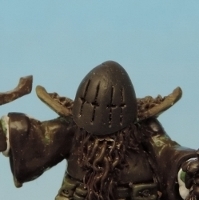 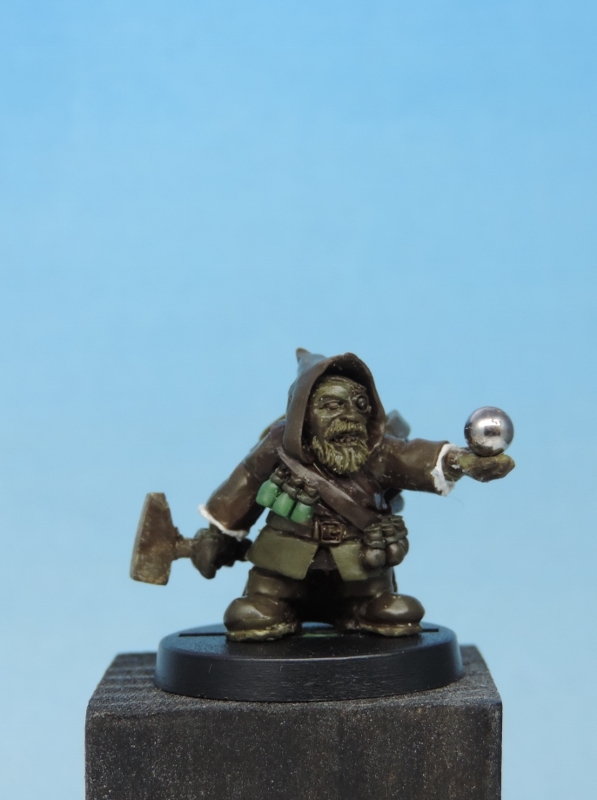 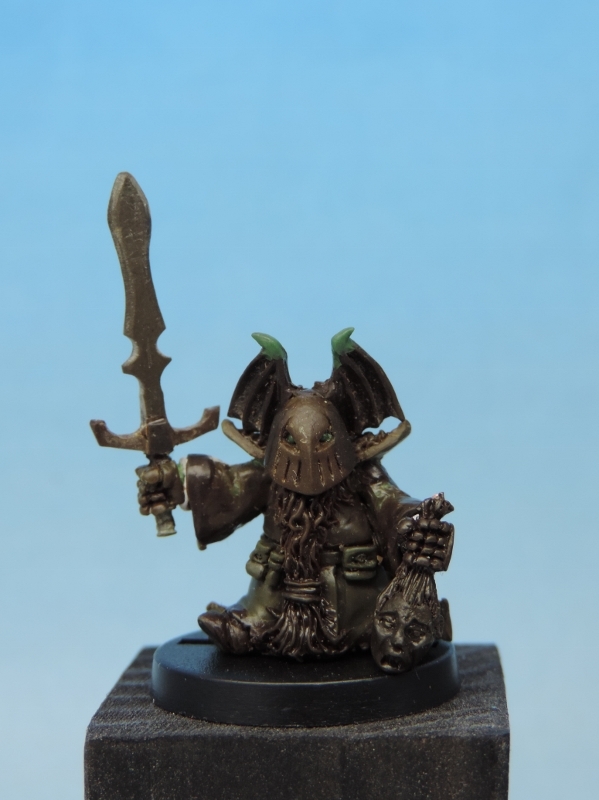 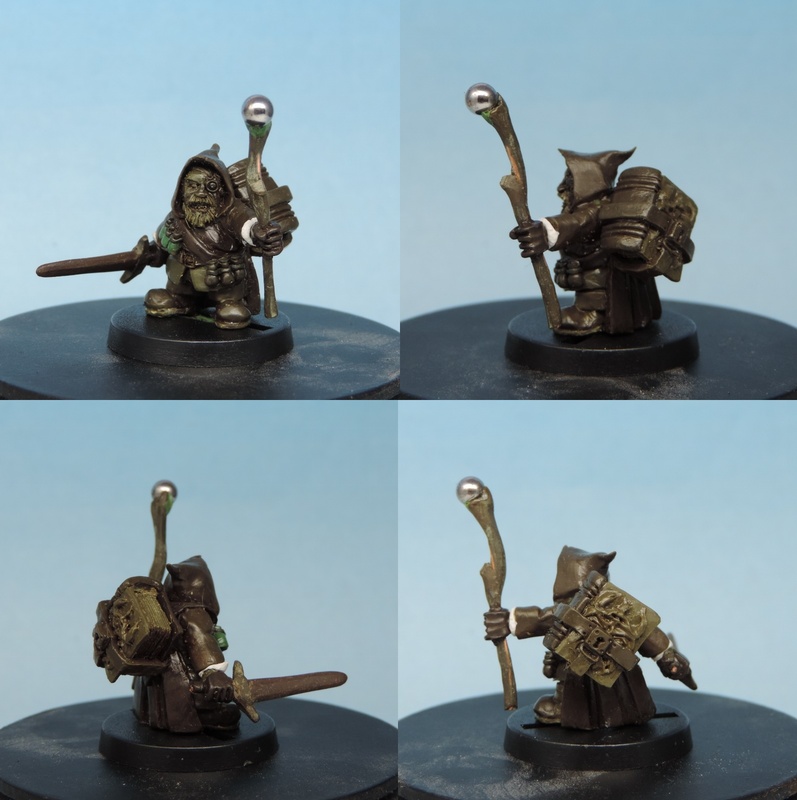 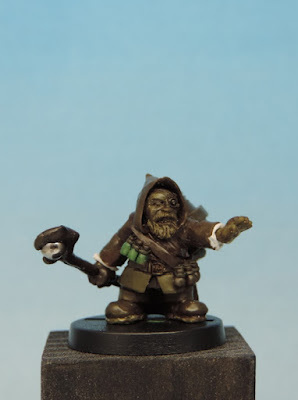 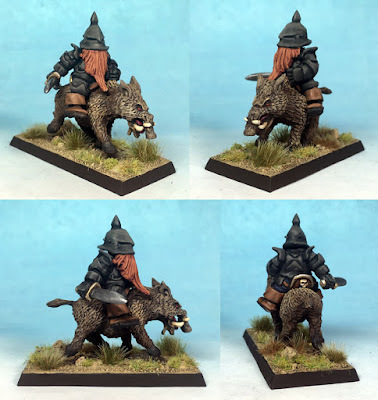 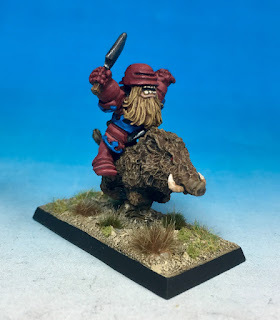 This blog is about my private venture into having Mr. John (Poshgoblin) Pickford doing me a small range of 28mm dwarf miniatures that will fulfill my personal need for more dark, sinister and vicious dwarfs. 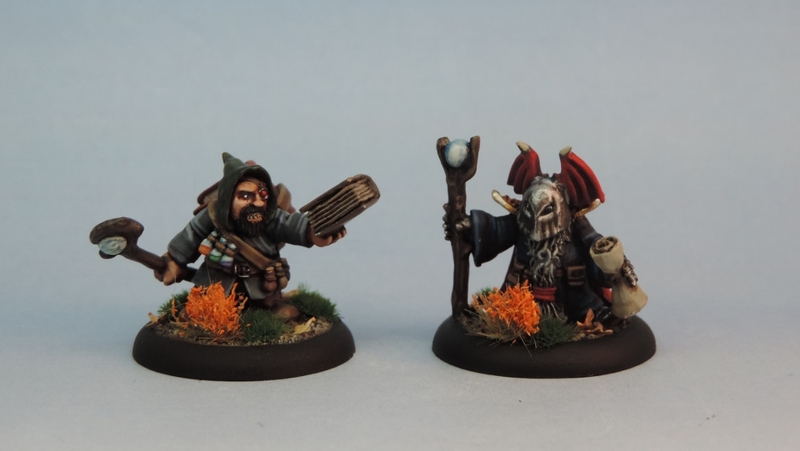 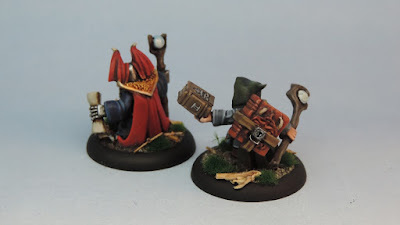 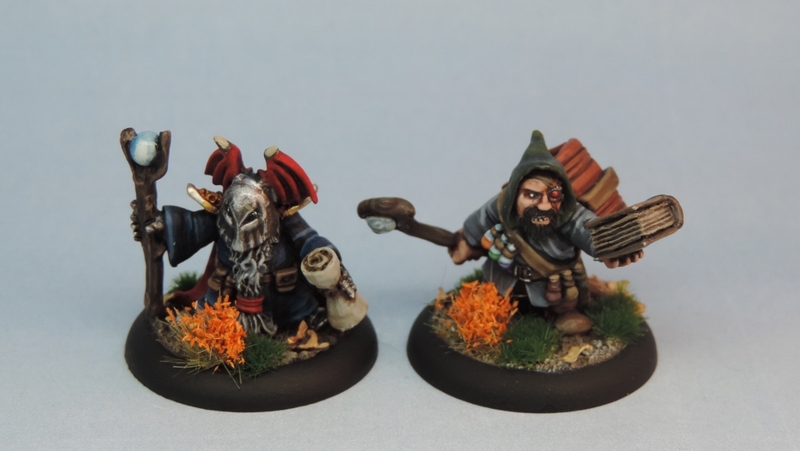 A pair of Sorcerers have received a lick of paint and I wanted to share them with you. 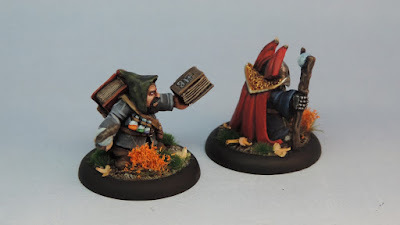 Here, take your god-damn book, biiiiiip! Took a fair bit longer than expected, but I've just received the casts of the Ewal Patriarch (2 variants), Acolyte (2 variants) and the Lance Knight Command Upgrade pack. 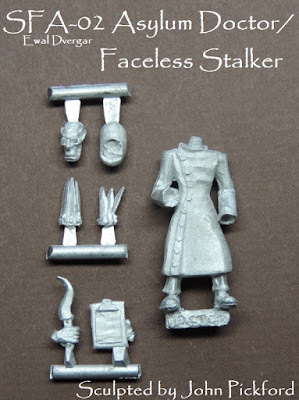 In this batch you also find a old but familiar face, the: Asylum Doctor/Faceless Stalker from the 2006 FU UK! 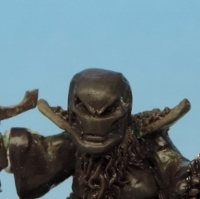 Sculpting Contest: "Asylum". Yes, it's here after lot of pestering and persuasion Mr. White Knight has kindly allowed me casting him up. He really is a true gentleman, ain't he? And all are added to the "How to .... - page" and can be found in the "characters", "cavalry" and "Space Pirates and Adventures" sections. 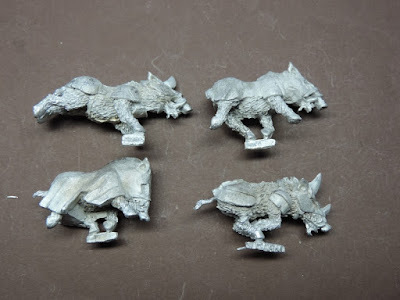 Heavy lance knights on boars and the soon to come "command upgrade"
As promised, a few assembled new boar knight. 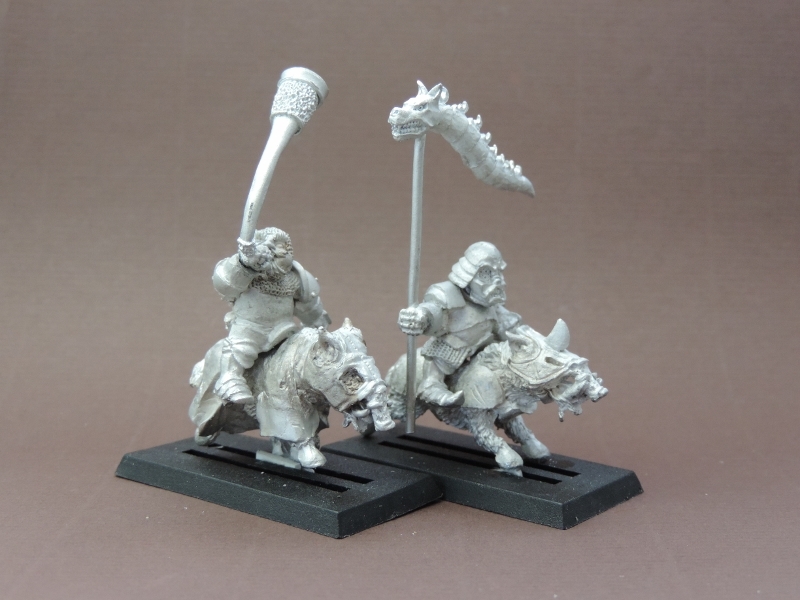 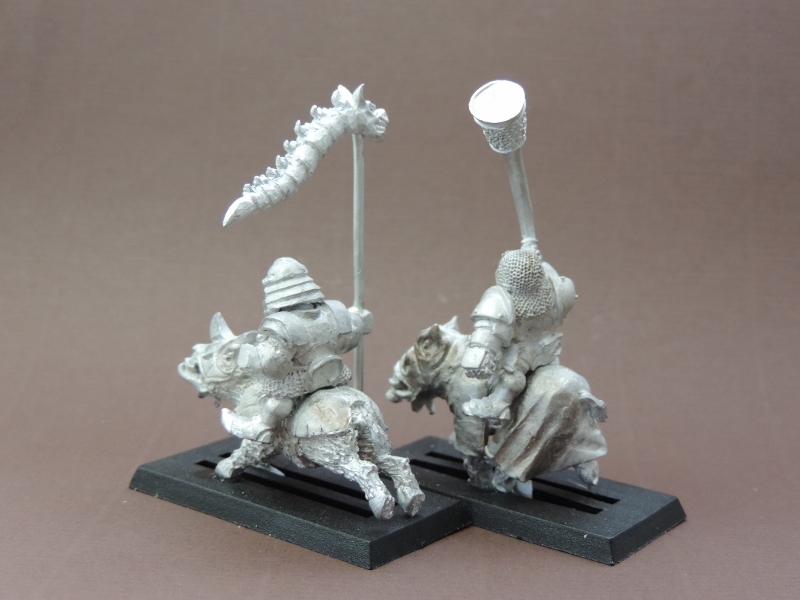 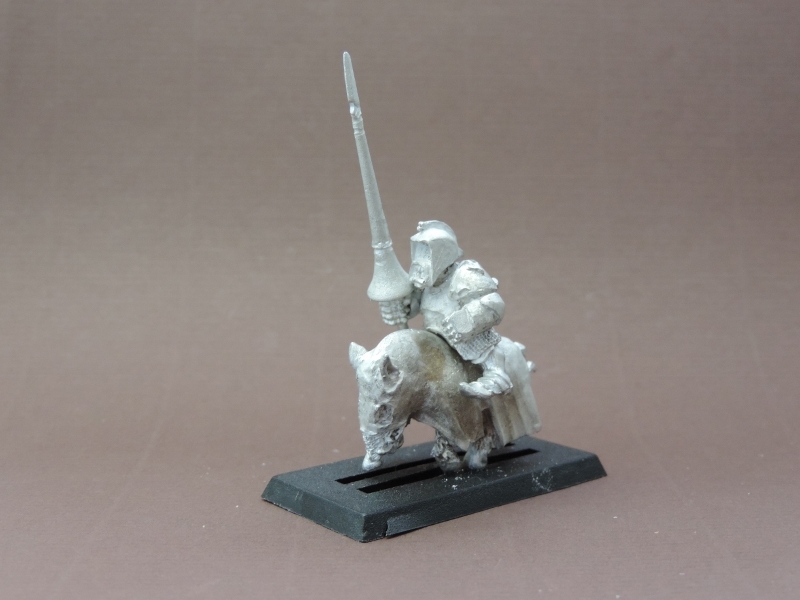 Also shown is the command upgrade consisting of a musician on boar and a standard dragon banner hand (suitable for the ordinary heavy lance knights). 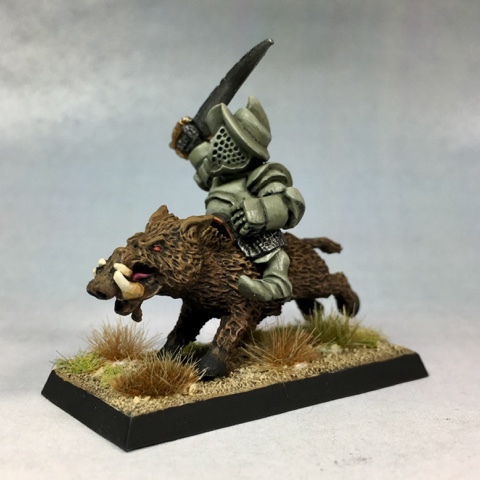 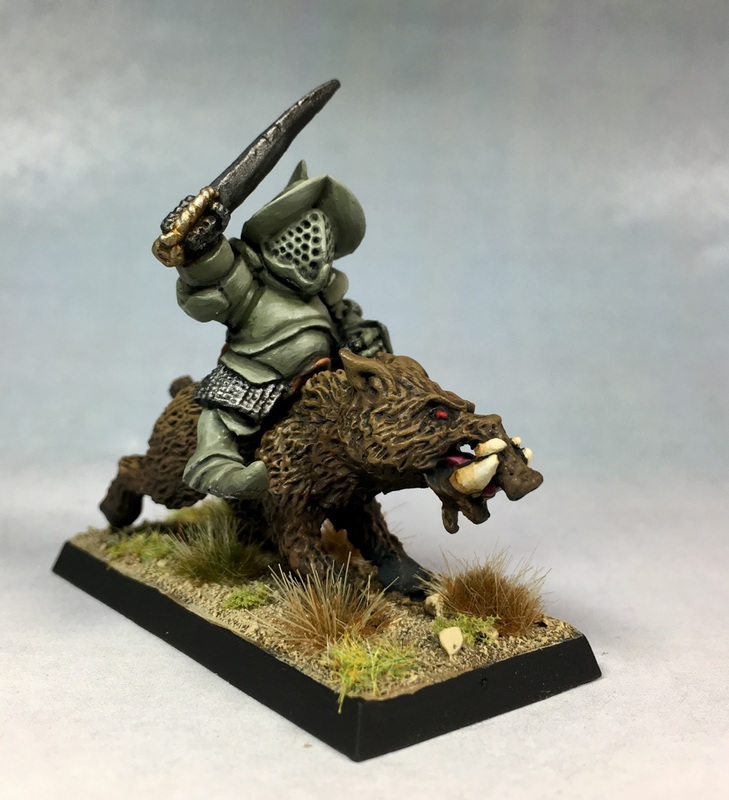 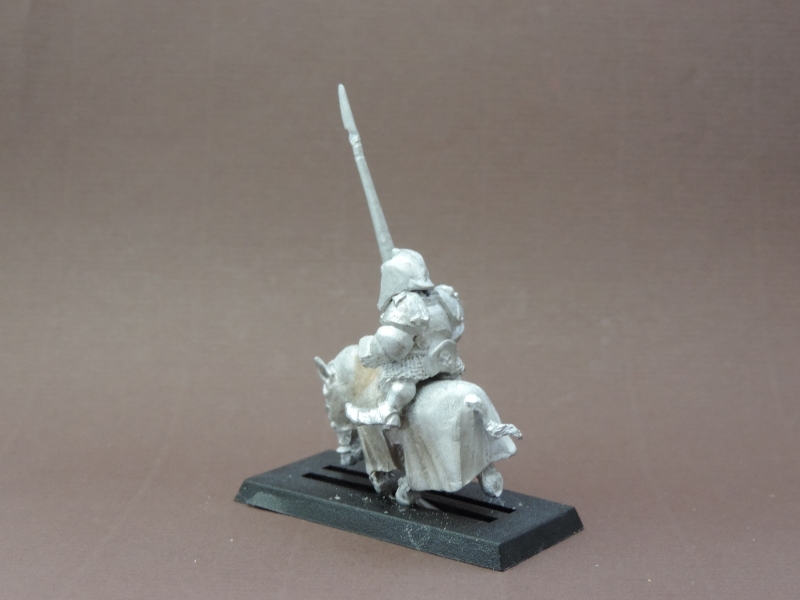 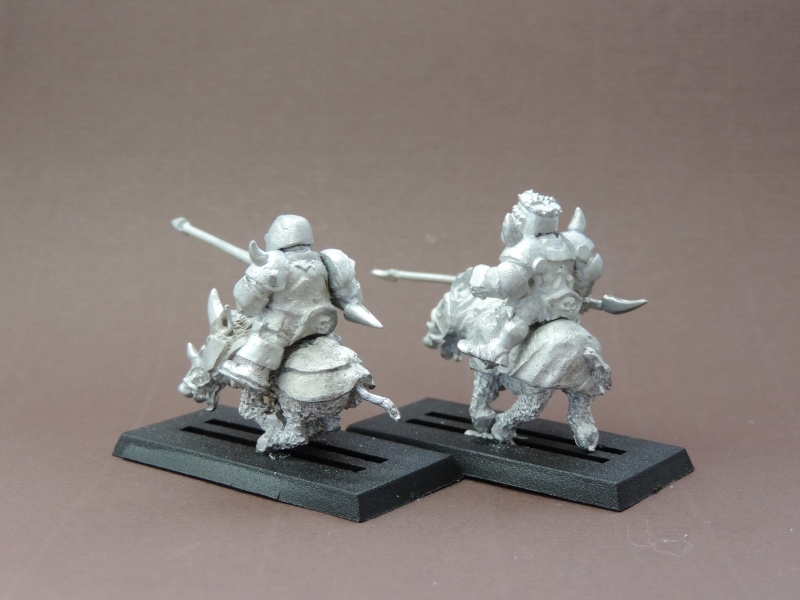 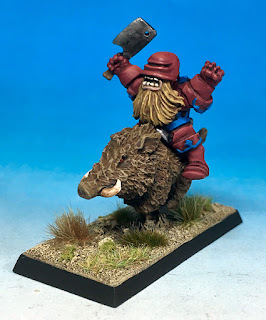 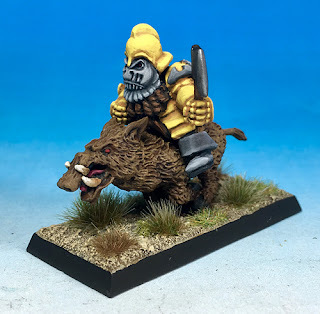 The EDK-02 Lance Knights on boars have been added to the "how to..." section. 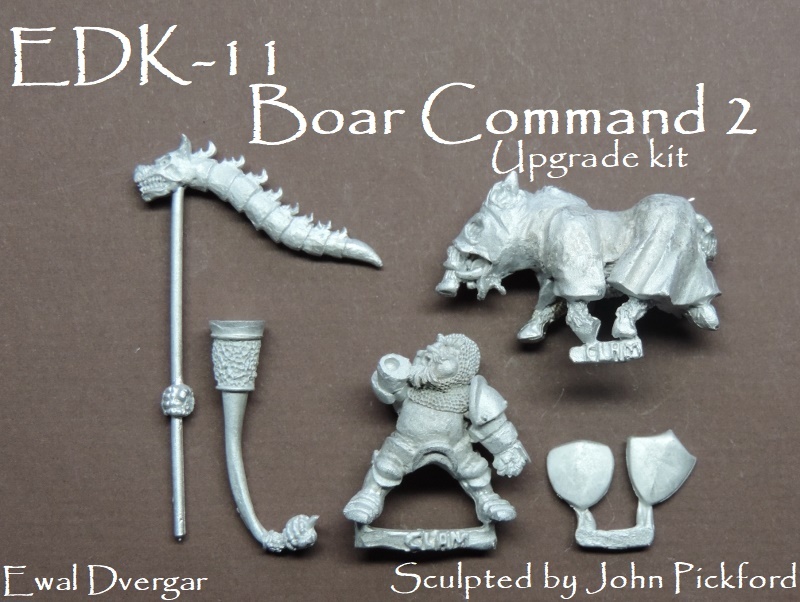 The EDK-11 Heavy Lance Knights Command upgrade is off for a "production mould" soon. 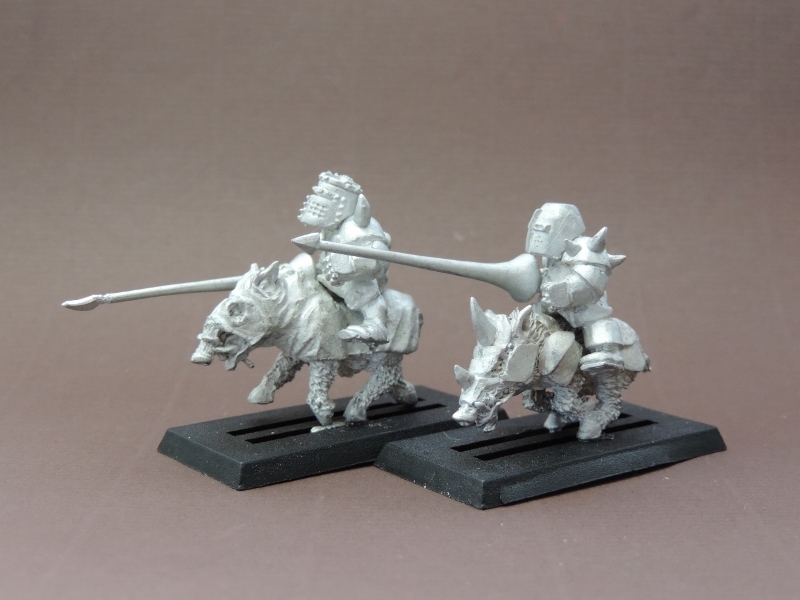 I've just received the first few spins from the new production mould for the Heavy Knights with Lances on Boars. 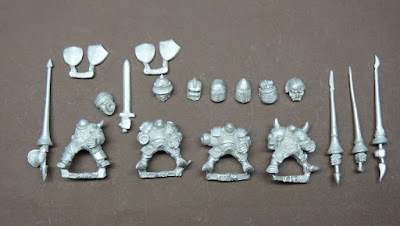 I haven't assembled any of them yet, but here's a couple of pictures of the new bits to build them. Will work on a couple of them tonight so you all can see what a great job John did. 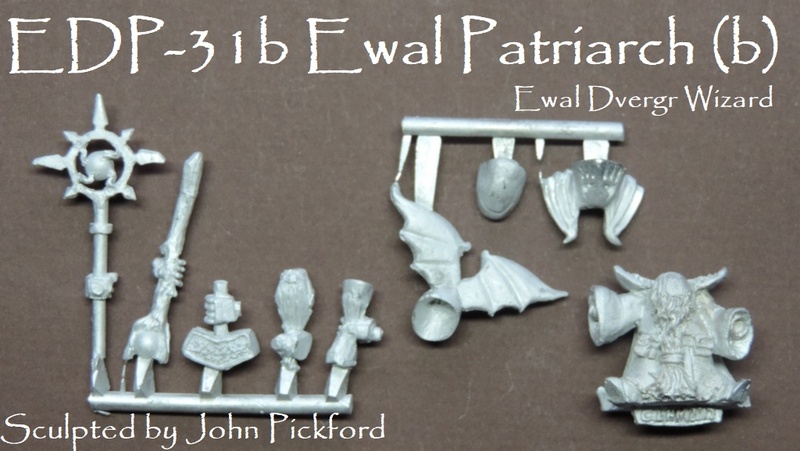 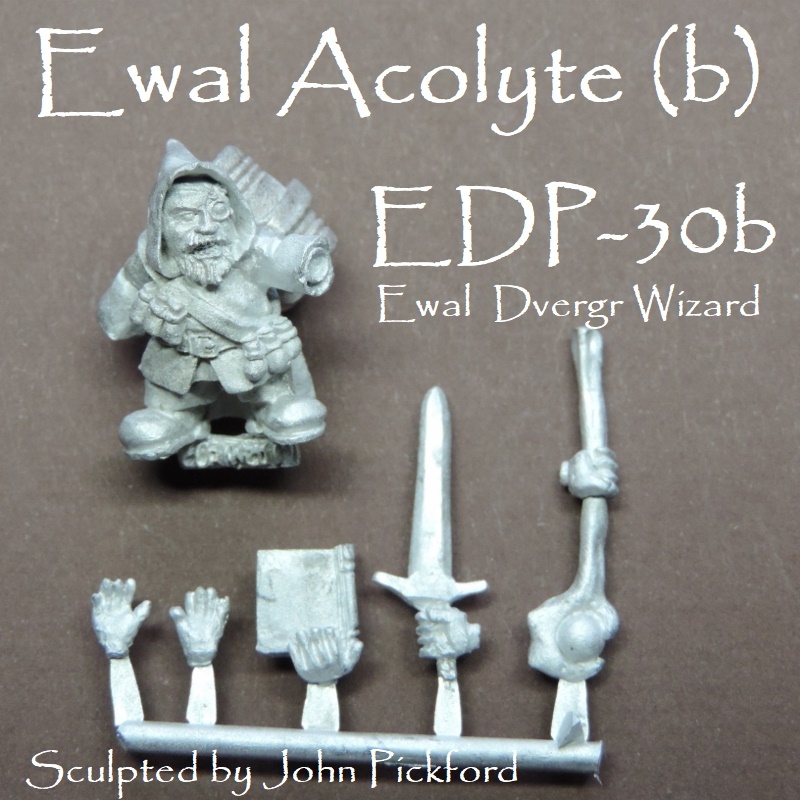 I've been wanting these for such a looooong time, but I've given the rank and file units priority, but with the Heavy Boar Knights almost done it's time to add a bit of magic to the range of Ewal Dvergar. During the winter John has not only completed the heavy cavalry (lance knights on barded boars) but also build me a pair of multi part wizards. 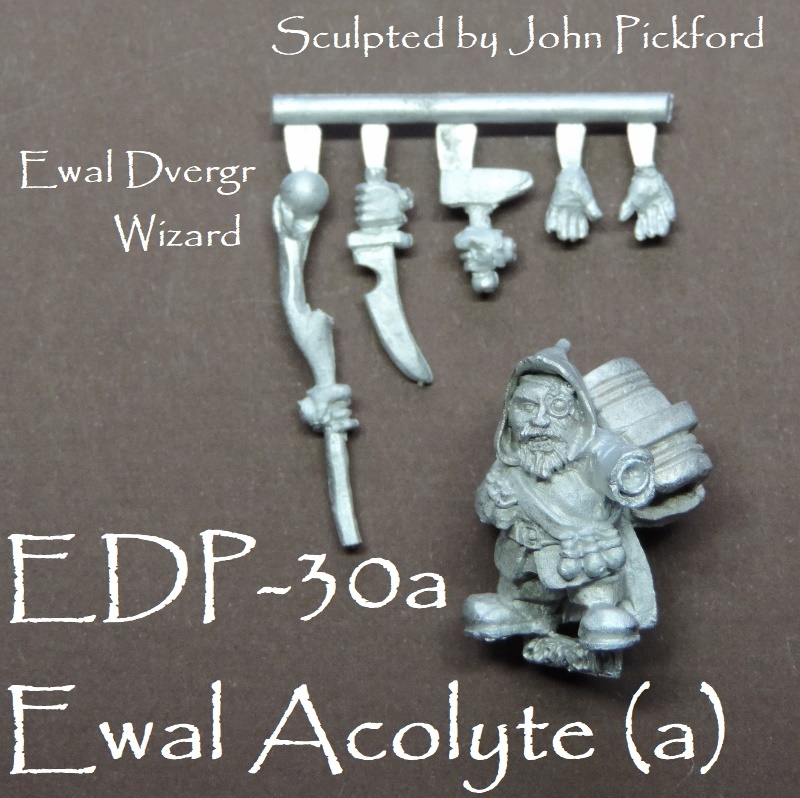 The Ewal Sorcery will consist of a Patriarch - a battle-harden heavy armoured old wizard - and a Acolyte - a younger and less experienced servant - that do his best to help but also got a few tricks up his sleeve as well. 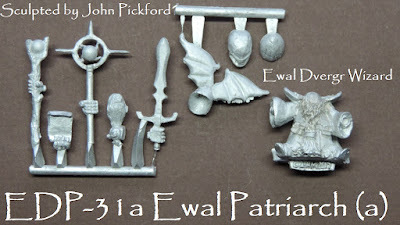 The Ewal Patriarch has the choice of five different helmet, three right hands (staff, sword and hammer) and five right ones (2 staffs, severed head, 2 scrolls). 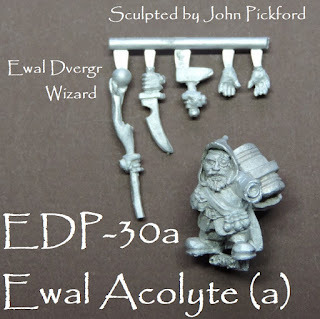 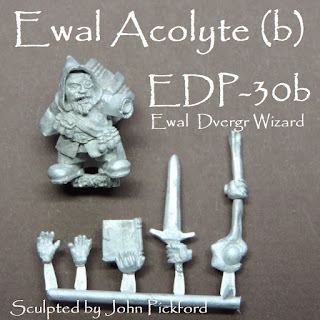 The Ewal Acolyte is a single piece body scultp with a separate hand system. The Acolyte is dressed in a cape and carries all the gear needed for battle including the big book of the Ewal Magic tired to his back. The Acolyte has a bare face but it's a face that shows his commitment in battle. The Acolyte has lost his eye but due to his enthusiasm and commitment he has been rewarded and a magical glass eye has been inserted as a replacement. This is first and foremost a private venture. 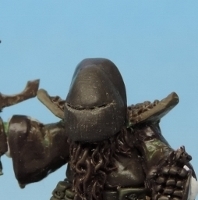 It is not a commercial venture and will never be one. This blog is not a web shop and I will never become a company. 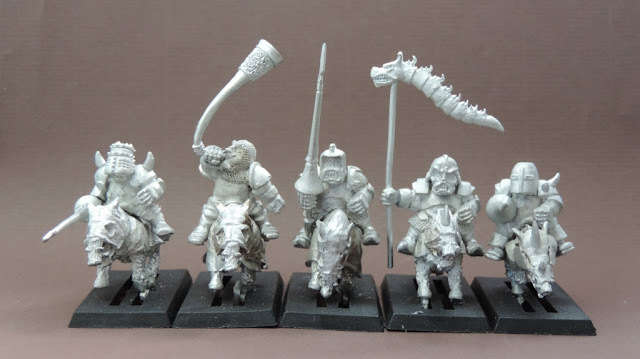 But, as most of the miniatures I’m having made will get "production molded" and spin cast in pure white metal, I might end up with a few more miniatures than I need – and should there be a broader interest, I can’t see why I couldn’t/shouldn't let the casting machine spin for a few more rounds. 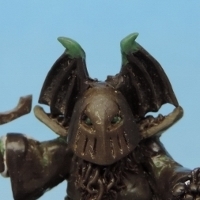 Any surplus I might have will then be offered off through here. 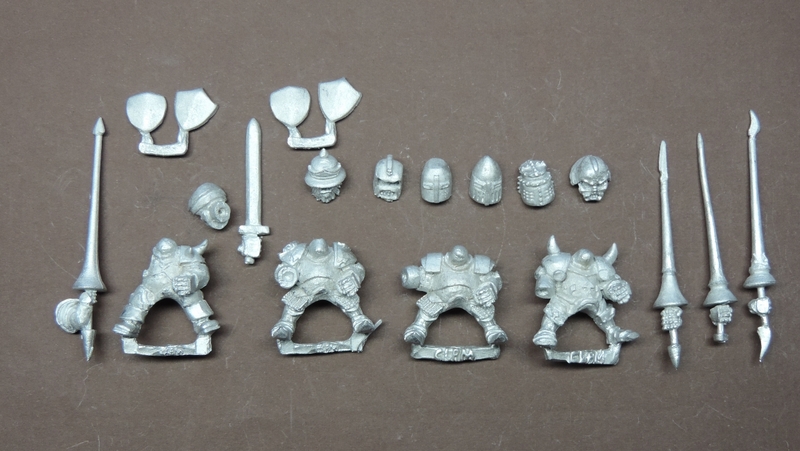 It's not for profit, and anything left (after covering the various costs) will be used to expand the range even further.